New Orleans &#8212; As a Mercedes-Benz dealer, Mike Jackson pitched so many ideas to corporate they asked him to work on their side of the automotive business. 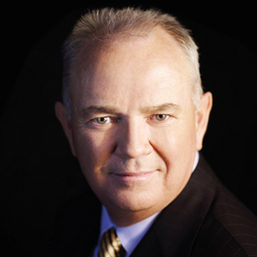 Jackson, who eventually became CEO of Mercedes-Benz USA, subsequently returned to auto retailing as CEO and Chairman of AutoNation Inc., the largest dealership chain in the U.S.
New Orleans — As a Mercedes-Benz dealer, Mike Jackson pitched so many ideas to corporate they asked him to work on their side of the automotive business. Jackson, who eventually became CEO of Mercedes-Benz USA, subsequently returned to auto retailing as CEO and Chairman of AutoNation Inc., the largest dealership chain in the U.S. He's still full of ideas — and voicing them, as evidenced by his feisty how-to-fix-the-industry speech at a J.D. Power and Associates conference held here in conjunction with the National Automobile Dealers Assn. convention. Jackson proceeds to denounce Wall Street greed; lament how the credit crisis has marred vehicle sales; rap auto makers for pushing inventory on dealers; and call for a gasoline-tax increase to promote demand for fuel-efficient vehicles. He predicts a fuel tax increase would influence American consumer behavior for the better; keep money in the U.S. that would otherwise go to oil-producing nations and help stabilize the auto industry that has seen widely varying fuel prices mar product planning. Next is stabilizing housing prices, as housing values and auto sales are closely linked. “Homeowners who see the value of their homes drop are not going to feel confident about buying a car,” he says. Another is stimulating the economy with massive government aid. “It is less dangerous to do too much than to do too little,” says Jackson, who also advocates a return to tax deductions for interest paid on car loans. Early in the decade, U.S. light-vehicle sales were more than 17 million annually. In 2008, they were down to 13.1 million units, and this year forecasters expect a drop to 11.4 million. A conference attendee asks if he would be interested in becoming the nation's “car czar,” a would-be post created to oversee federal aid to General Motors Corp. and Chrysler LCC. President Barack Obama later opted for a panel to do that instead.